We know hackers as people who want to get into your system, steal your identity and threaten you by leaking your information online if you don’t meet their requirements. To some extent, it’s true, but it isn’t the correct way to generalise a hacker. Hackers are generally the ones who have sound technical knowledge of computer programs and ways of overcoming and accessing them. 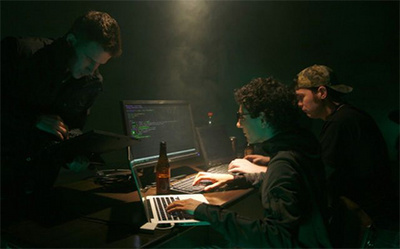 Black hats, grey hats and white hats are the most common ways of categorising hackers. Black hat hackers usually have malicious motives behind their hackings, while grey hat hackers may do things for fun – or may even benefit a company. White hat hackers are people who have the license to hack and find security loopholes in a company’s website or software. They then report them to the company and charge a fee. Nevertheless, there are more than a few terms that you should be at least aware of. These people are the ones that work within an organisation, and if disagreeable with its practices, they leak out information – often classified. Also known as whistleblowers, these people also fall into the category of hackers. Script Kiddies are people who have some knowledge of hacking, but if a complex problem arises they often have no idea on how to solve it. Usually found on forums where they will ask for expert advice; they might also get involved with a major hacking organisation. They might copy someone else’s code in creating a tool in C++ because they don’t have the in-depth knowledge of hacking yet. They work in groups and they have one purpose only: money. These are the hackers who are extremely effective in coming up with making-money schemes. Often, it is these hackers who make the headlines from identity theft operations, fake hosting services, backdoors and scamming. Last year, a group of hackers hacked into ATMs while another member collected the cash from the compromised machine. These people know what they’re doing. They develop tools that help other hackers and ease their jobs. Many online mercenaries loosely fall under the Advanced Persistent Threat category. Lizard Squad or LulzSec are two of these groups who have the skills and connections but they don’t have organised criminal connections, thus aren’t lucrative in their actions. These are mostly people that fall under Anonymous and other similar groups. In recent times, Anonymous members possessing hacking skills follow their elders and use techniques such as DDoSing against a website or defacing one. Those groups similar to Anonymous are often brought together by the ideology of justice for the masses and freedom from censorship. This is where the big money goes. These people or groups are usually involved with the government or intelligence agencies; they have massive funding to support their programs. These individuals and groups of hackers are extremely persistent in their threats, always using complex tools and methods to their full advantage. Finally, these are the people with the most honorary title in the world of hacking. This group largely consists of security researchers that constantly monitor the cyber security world for zero-day vulnerabilities and other types of exploits. Once found, they report them to the appropriate companies. For almost all of the time, these hackers work within legal boundaries so they can make our lives safe. It’s not to say they don’t use other methods – but their primary goal is to make the online world a better and safer place.